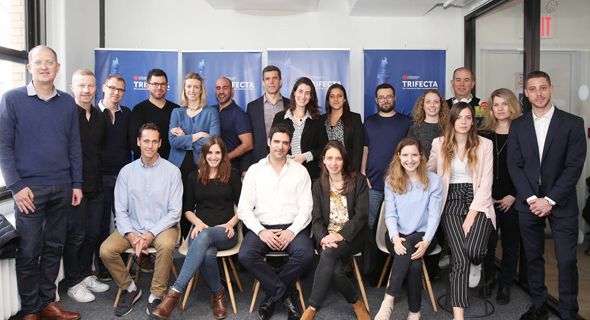 The semi-finalists of Trifecta, a $1 million startup competition held by Israel-based Pitango Venture Capital, were unveiled during Calcalist’s third annual Mind the Tech Conference last week. The competition focuses on the crossroad between data, machines, and humans. 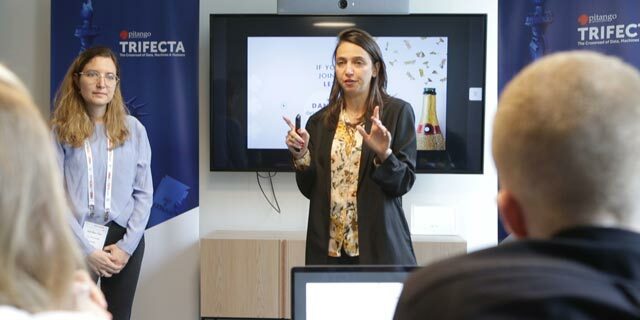 Eleven startups showcased their technology at the semi-finals, which were held at the New York offices of startup network SOSA. The judging panel included SOSA managing partners Eyal Niv and Ayal Itzkovitz, ViaVan CEO Chris Snyder, and Alexandra Schinasi, co-founder of Houzz-acquired interior design startup IvyMark. The finals will be held in Israel in June. The first company was pool safety technology Lynxight, which develops smart cameras for pools. Lynxight’s camera performs object detection and recognition, behavioral analysis, action classification, and anomaly modeling to help mitigate security risks. Tel Aviv-based Superb Reality Ltd. develops computer vision solutions for virtual reality and augmented reality, with a focus on photo identification. The company’s technology helps navigate large amounts of data needed to identify objects by reducing the number of photos needed to train algorithms. AIVF uses artificial intelligence to simplify the IVF embryo selection process, by providing clinicians and embryologists with a fully automated decision support and optimization tool. The company hopes that increasing the success rate of IVF treatments will reduce its costs and help more people afford the procedure. Superfy aims to provide answers to questions that are not answerable by search engines and social networks, such as answers that require personal human experience. The company’s app uses artificial intelligence to connect people in a chat format. Partify develops an artificial intelligence-assisted platform for planning children’s parties. The company provides personalized, customizable event packages and lets parents purchase various services and place orders with vendors via its platform. Software developer Imagry LLC develops a mapless, autonomous driving platform. The company’s platform negates the need for HD mapping data, which in turn relies on constant GPS signals, and instead uses artificial intelligence and vision-based approach for real-time decision making. Tel Aviv-based digital legal analysis startup Litigate Ltd. develops a technology that assists lawyers in analyzing legal documents and records, and in detecting legal precedents. Tel Aviv-based Clique.ai offers a co-creation platform for both users and community managers. The platform is especially suited for tech and venture capital communities such as accelerators, co-working spaces, and non-governmental organizations. Senecio Ltd. develops a commercialized, automated process for releasing sterile male mosquitoes into the general population, intended to reduce the population and fight the spread of disease. Ottopia Technologies Ltd. develops software that allows a human operator to remotely assist a vehicle’s artificial intelligence system in making decisions in complex and unpredictable situations. The technology is intended to reduce the costs associated with employing human drivers while fully automotive vehicles are still being developed. Convizit Ltd. develops a system that automatically collects and processes website visitor information, providing website owners with data to help increase engagement and revenue.